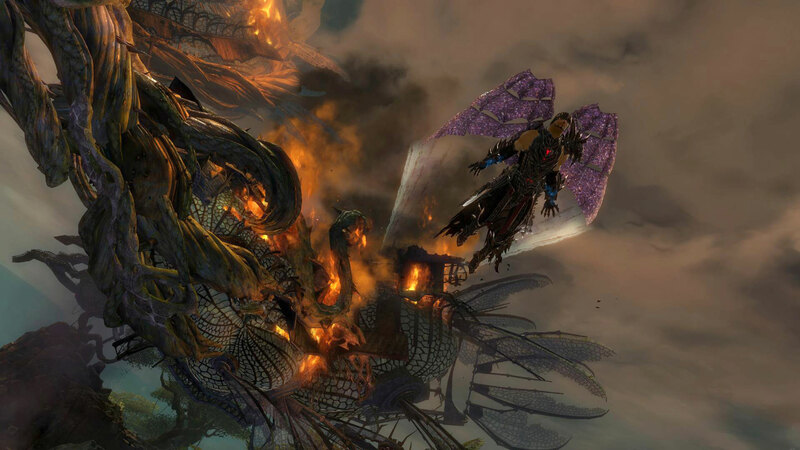 Guild Wars 2: Heart of Thorns beta weekend has finally been announced and will coincide with the fantastic GamesCom festivities that let players play the Heart of Thorns expansion should you be in attendance. Everyone else can play Guild Wars 2: Heart of Thorns Friday August 7th through Monday August 10th. The upcoming beta test is being heralded by ArenaNet as a true beta test which means that they’re looking for as much feedback as possible to refine the experience. This is more than just playing and complaining about lack of content, they want, and need, your help in ensuring Heart of Thorns is ready for the world. These are real beta tests, and you have the real opportunity to help shape the expansion with your feedback. During the beta test you’ll be exposed to a very small portion of the overall expansion, a mere glimpse into the vast content that awaits. This is more a small area that includes a majority of the new code for Heart of Thorns. You’ll start with a battle in the Silverwastes that eventually ends with you in the jungle region. From there you’ll be able to play a brief portion of the story in Heart of Thorns being able to explore around 25% of the total new portion of the map. If you pre-ordered Heart of Thorns then you’ll be able to spawn a completely leveled (level 80) character of any of the playable races. You can also use a beta character slot so you can try out the revenant profession without giving up any characters you already have. Just remember that this is a beta test, and it’s not complete. They want as much feedback as possible, not complaining about lack of content. So if you think that you’d like to help make Heart of Thorns the best expansion ever, then get ready to hop in next weekend. What feedback are ArenaNet looking for? How fun is it to play the new profession? Do elite specializations feel like entirely new roles for main professions? Do you feel the need to use your entire skill bar in battles? Does teaming up feel more rewarding? Do you find that you want to change skills and traits to overcome encounters? Does night feel different from daytime? What’s it like to progress and earn Masteries over multiple days in the jungle? Does the Mastery system feel like a meaningful addition? Does the map reward system communicate well? And of course bugs! What bugs do you encounter?